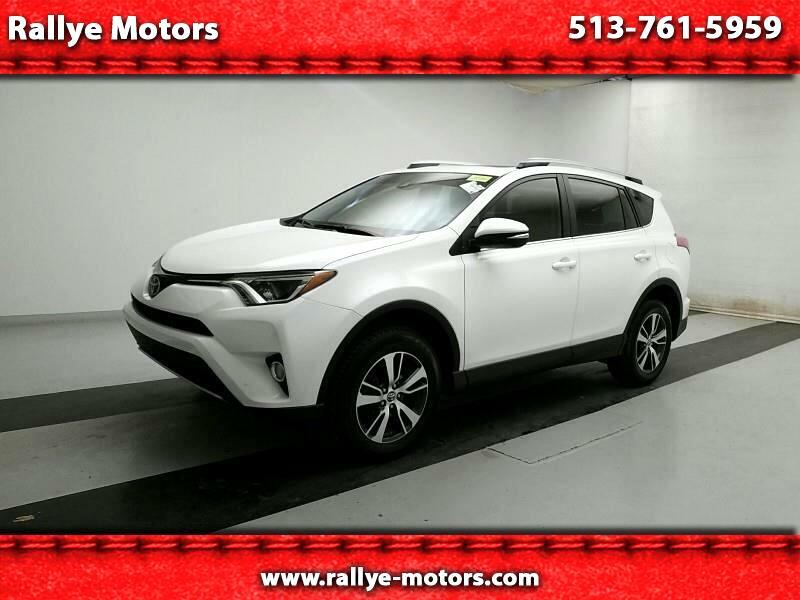 2016 Toyota RAV4 XLE with AWD and all desirable convenience and safety options. When I met my wife I knew I had met Miss Right- I just didn't know her first name was Always. Well, here is a car for her because it is Mr. Right and will always be right for whoever purchases it. When we serviced it (new brake pads, fluids, filters- it didn't need anything else) the shop people even commented that it was one of the nicest they had ever seen. Clean history with no damage and not smoked in. One owner since new. NADA book value $22225, factoring in options which CarGurus does not have in their varaible option list. 2.5 liter vvt 4 cylinder, All Wheel Drive with lockup mode, 6-speed automatic transmission with manual shift/ eco/ sport modes, dual zone auto climate control with particulate filtration, Rear view Camera, sonar front and rear parking sensors, Navigation, Pre-Collision Safety Sensing, Lane Departure Warning, Blind Spot Warning System, hands-free Bluetooth phone, power moonroof, power tailgate, power windows, power locks, heated power mirrors, tilt/telescope leather steering wheel with controls for phone/audio/trip computer display/cruise control, ABS, Vehicle Stability Tarction Control, Hillholder, 17-inch polished alloy wheels, Entune audio includes AM/HD FM radio/SiriusXM Satellite radio with free trial/HD Traffic and Weather/usb i-pod and mp3 jacks/speed sensing volume/ music and text streaming, fold down rear seats, extra window tint, auto lighting with foglights and auto hi-beam control, cargo cover, carpet floor and cargo mat set, remote entry smart keys/ pushbutton start, rear spoiler, rear defroster and wiper, rain sensing wipers, low tire warning, much more. White finish with gray and black cloth interior. Still in Toyota warranty. True value and quality sometimes costs a little more but is worth far more in the long run. And the RAV4 is the longest running in its category.